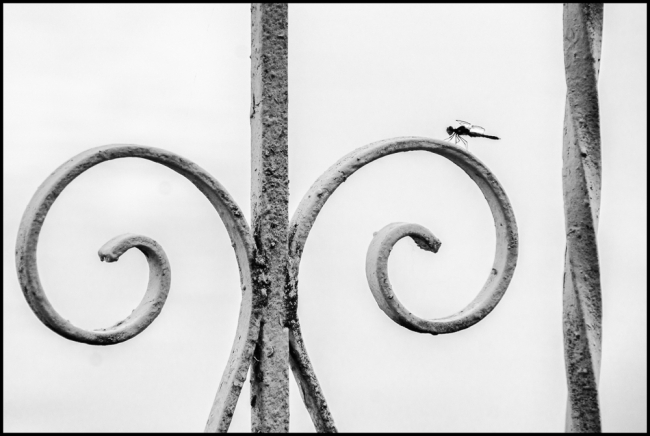 I was sitting on our dock fulfilling my responsibility to take pictures of our visitors when I saw this dragonfly (if that’s what it is) alight on the wrought iron fence. Taken with a Sony A77II and Tamron A18 AF 18-250mm f3.5-6.3. This entry was posted in Black & White, Buildings/Structures, Wildlife & Animals. Bookmark the permalink.